Ryan Bomberger in an interview with NBC. Early on, Ryan Bomberger saw two things. 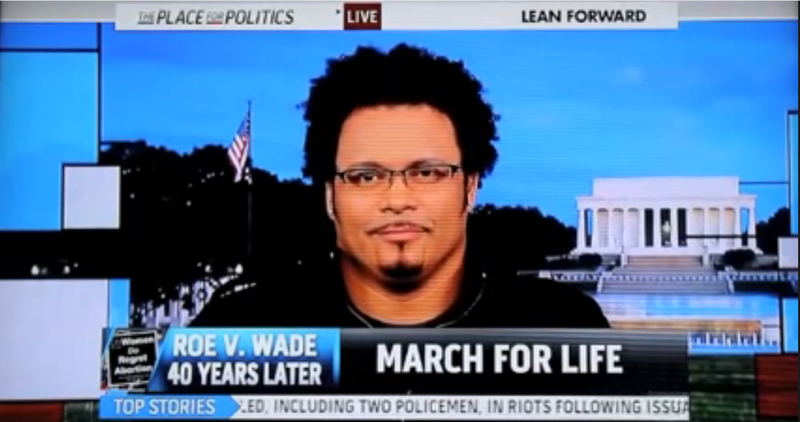 He saw the rate at which African-American babies were falling victim to the abortion industry. 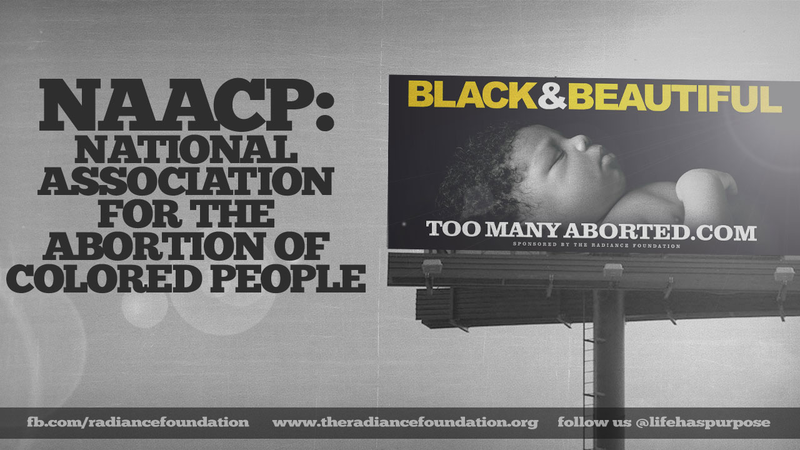 He also the alliance between Planned Parenthood and the NAACP, since Planned Parenthood sponsors the annual conventions of the NAACP. In response to these observations, Mr. Bomberger wrote an article parodying the relationship between Planned Parenthood and the NAACP. Therefore, as a stalwart supporter of civil liberties in the Black community, the NAACP sued on the grounds of trademark infringement, confusion and dilution. In line with many of the federal court decisions that have supported liberal institutions while degrading our Constitutionally–guaranteed freedoms, a federal judge forbade Bomberger and the Radiance Foundation from mentioning the parodied name in speech or writing, and ordered the nonprofit group to destroy everything it had ever created or published using NAACP trademarks or the parodied name. In response to this, Mr. Bomberger and the Radiance Foundation has enlisted the help of the Alliance Defending Freedom to is take the case to the 4th U.S. Circuit Court of Appeals and ask to benefit from constitutional protections for free speech and free press. Therefore, I would encourage all to support Bomberger and the Radiance Foundation by donating to them, visiting the Radiance Foundation website, subscribe to the Radiance Foundation channel on YouTube, follow them on Facebook, and support groups associated with them. This article requires a hat-tip to One News Now.